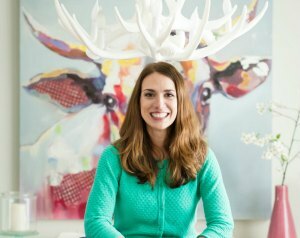 Between school activities, sports and life, coordinating our family’s calendar can feel like a full-time job. 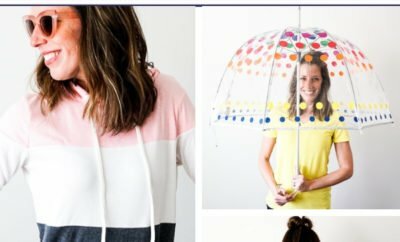 Add in homework, and it’s enough to make any mom want to cry. 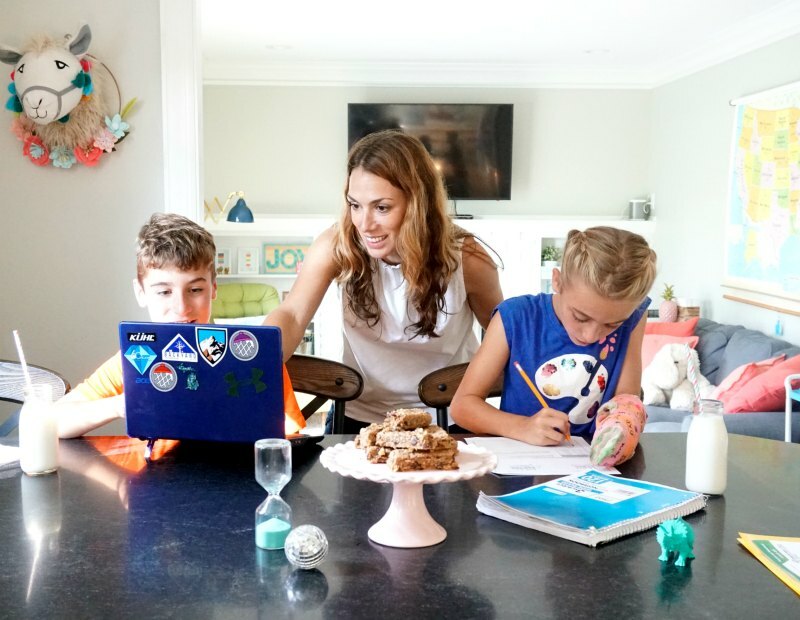 Luckily, Homework Power Hours have made a huge difference in our house, and I’m sharing how they might work for your family too. Added bonus? I’ve partnered with NESTLÉ® TOLL HOUSE® to create the perfect snack for our new Homework Power Hours! 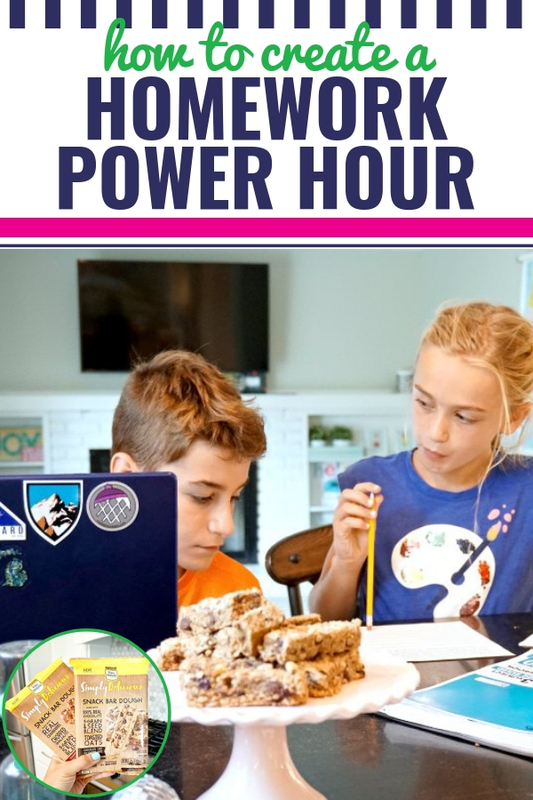 What is a Homework Power Hour? Once a week, we schedule a Homework Power Hour on our family calendar to take place right after school. 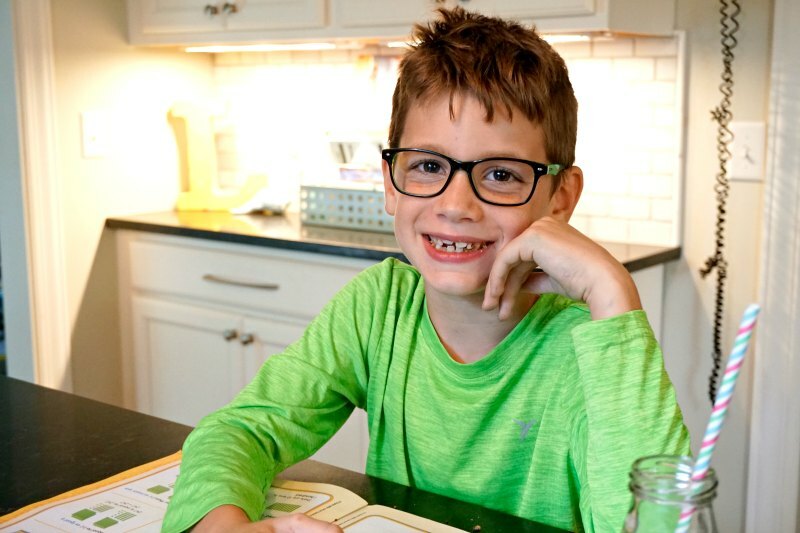 I provide the snacks, sharpened pencils and a great playlist, and the kids sit down at the kitchen counter and do their homework for an entire hour. This gives them an entire hour to focus, get help from me, and get help from each other if they need it. We’re finding that one dedicated hour per week makes a huge difference in their ability to finish their homework around events and activities the rest of the week. 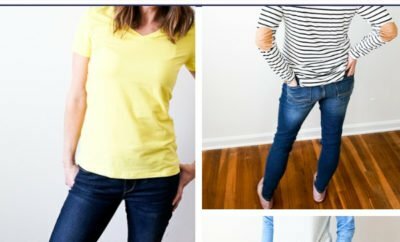 After trying this out for the last month, here are a few tips on how you can try a Homework Power Hour at your house. My kids are downright hangry when they get off the bus and expecting them to immediately sit down and do homework has the potential to derail the rest of our night. For the past few weeks, I’ve been preparing Simply Delicious Snack Bar Dough by NESTLÉ® TOLL HOUSE® to be coming out of the oven just as they roll in the door. 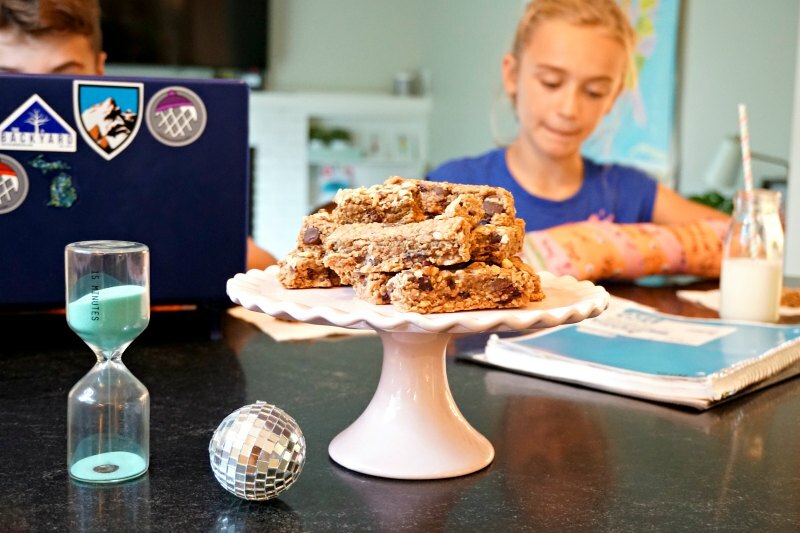 These break and bake snack bars are my secret weapon to a successful Homework Power Hour. I’m pretty sure that Simply Delicious Snack Bar Dough was created just to make my life easier. I simply break them apart and then bake them for 10 minutes. The best part? The amazing smell makes my kids smile as soon as they walk in the door after school. The kids love them because they’re warm and taste amazing. I love them because they’re made with wholesome ingredients I feel good about giving my kids. Click here to learn more about Simply Delicious Snack Bar Dough. Part of what I’m trying to teach my kids is time management. At the start of each power hour, they make a list of the homework they need to accomplish for the week and when it’s due. Then they highlight the projects they need to work on during the power hour. 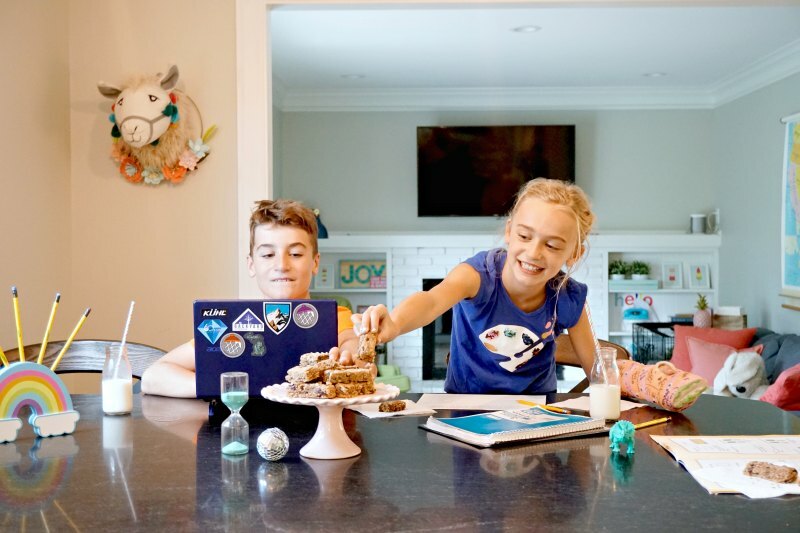 I set a 15-minute timer to help them break their time into four chunks and better manage when it’s time to move onto the next project on their list. 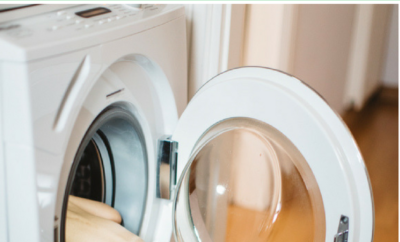 Sometimes they’re totally amazed at how much can be accomplished in just 15 minutes! My 2nd-grader doesn’t necessarily have an entire hour of homework each week. Usually he still has 15-30 minutes to spare after he’s finished his math and spelling. At our first Homework Power Hour, he assumed this was time he could spend watching television and playing video games. Letting anyone leave the power hour early to play video games pretty much ends the power hour for everyone. It’s possible that I learned this the hard way. Now, all the kids know that any extra time they have within the hour – after they’ve finished all their homework – is time that they can spend reading. This put an end to anyone rushing through their homework in hopes of ending the power hour early. And it’s been fun to see Simon’s reading log minutes increase each week just based on the extra time he’s spending during our homework time. I’ve been working on showing the kids how music can impact a lot of things in our lives – like our mood and even our productivity. During our Homework Power Hours, I usually plug in a playlist that is all about focus – with lots of spa-like music and not a whole lot of distracting lyrics. As soon as our hour is up, we switch to full-on dance party tunes to get those wiggles out and start the rest of our evening. My daughter (a former homework-hater) has admitted that having the right music has made a huge difference in how well she can focus. Having friends join us for Homework Power Hour every now and then has actually helped everyone be more productive. 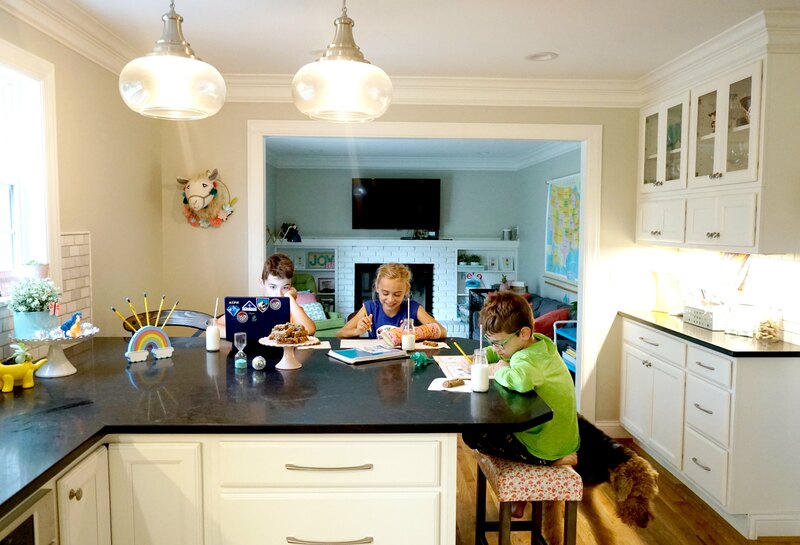 Schedules don’t always align, but when they do, we’ll have several neighborhood kids or cousins at our dining room table to do homework together. Peer pressure is an amazing tool when it’s used for good (like getting your homework done.) And it’s awesome to see how the older kids are able to help the younger kids, and how kids in the same class can team up to tackle a problem together. As soon as that timer goes off, everyone races outside to ride bikes, play in the yard and have fun before dinner. 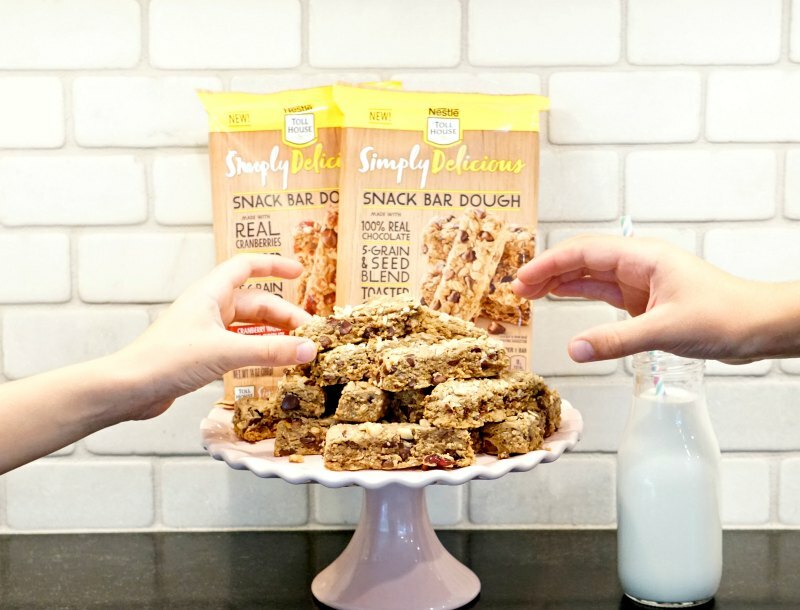 Simply Delicious Snack Bar Dough is a satisfying snack made with real ingredients. Want to try them for yourself? 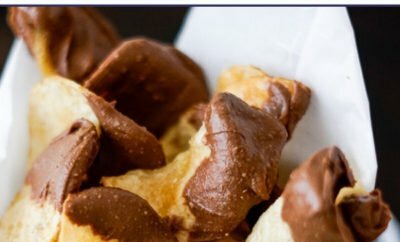 You can try Simply Delicious Snack Bar Dough for yourself (plus enter to win fun prizes) by visiting their booth at Zinzinnati’s Oktoberfest this Sunday, September 23, from 11 am – 3 pm. I hope to see you there! Alice and Miles are fans of the Cranberry Walnut with Dark Chocolate and Simon loves the Chocolate Chip with Toasted Oats. You can find both flavors in the refrigerated aisle at grocers nationwide. You can save $1 on Simply Delicious Snack Bar Dough at Meijer. This post is sponsored by NESTLÉ® TOLL HOUSE®. All opinions are my own.